Far from a traditional convention-style hotel, the Breakers will extend its boutique, lifestyle feel to groups and conventioneers as well. 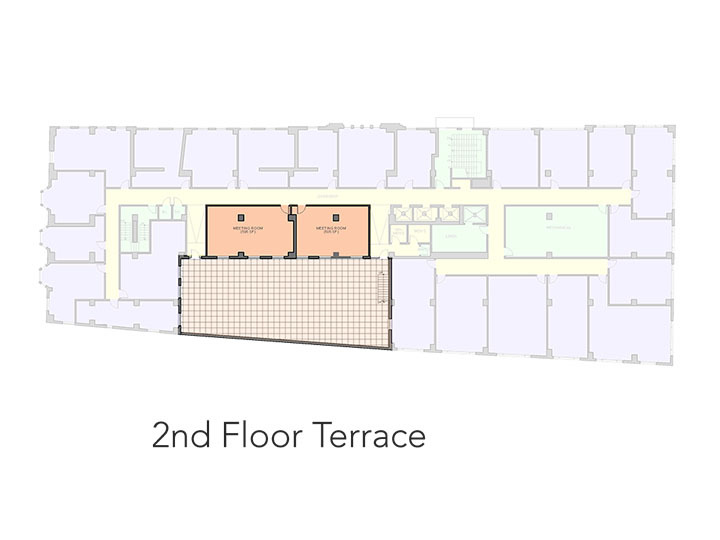 The entire Arcade floor, which is directly accessible from the street, is dedicated to meeting and event spaces, with an excellent variety of sizes and uses. The 12,000 sq.ft. 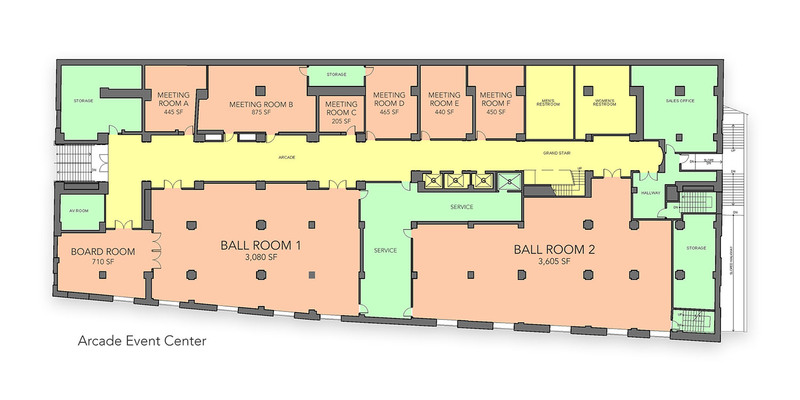 Arcade floor includes two ballrooms and seven additional smaller meeting rooms, ranging from 205 sq.ft. 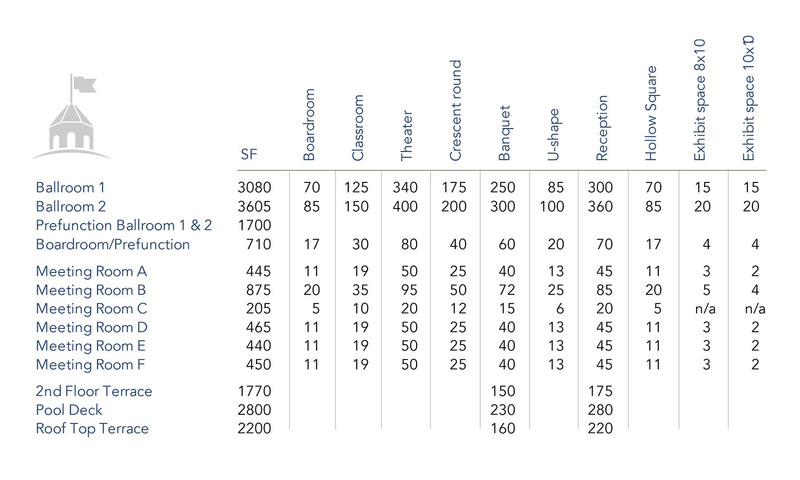 to 875 sq.ft. – giving group organizers maximum flexibility. And, while in Southern California, why not take advantage of the Breakers’ beautiful outdoor settings? All of our open-air venues are available for private events, dinners and receptions. This includes a 1,770 sq.ft. 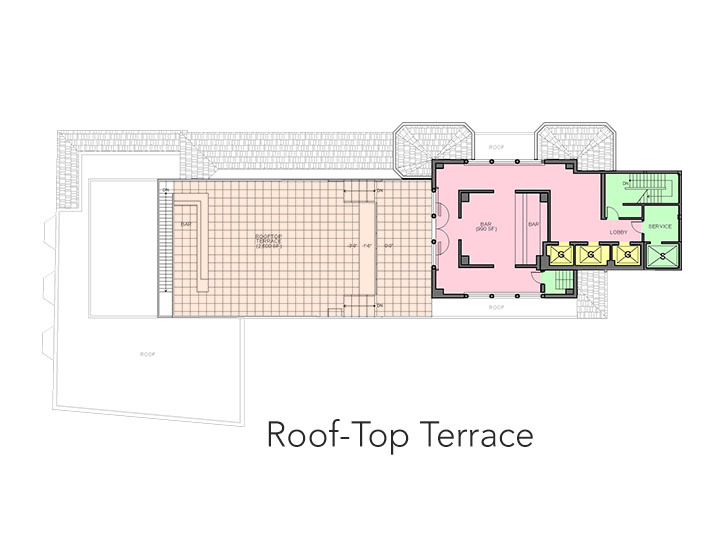 terrace on the 2nd floor, a pool deck, with 2,800 sq.ft. 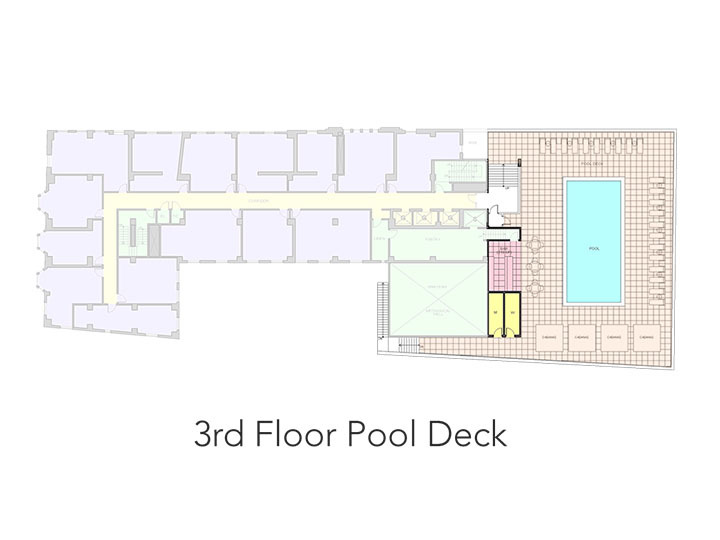 of usable space overlooking the Performing Arts Center fountains, and the Rooftop Bar & Terrace with its 2,200 sq.ft. of spectacular usable space.